In this guesthouse, there are no door locks! Indeed, it is a traditional guesthouse. But don’t worry, the hosts are always here! Free services include breakfast (from 7am: eggs, bread, jam… but no orange juice! ), a full-equipped kitchen, laundry service and a computer to check your emails. In the room, there is a fan, a sofa and a TV. The hosts are very nice. 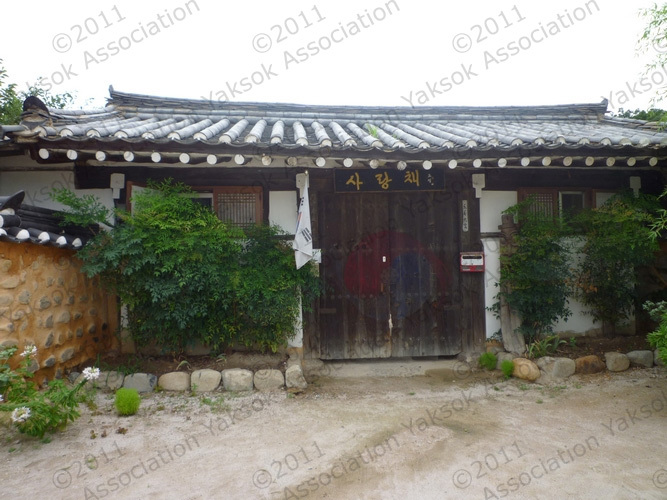 But we didn’t get to know them a lot because we were with Korean people when we went to this guesthouse. But I can swear their English is good! Since we had booked a Family Room, we had a bathroom in our room (sorry, we forgot to take a picture of it). This one is not really big, but it’s sufficient!